The English are both relieved and anxious. They are relieved because their football heroes have squeaked through to the final stages of the 2014 World Cup but anxious because the team will be staying in a hotel near to a favela in Rio de Janeiro. The football journalists of the UK are already indignant that English footballers, multi-millionaires at that, will be obliged to sleep within earshot of the Brazilian poor. The favela is half a mile away. So far, our esteemed football analysts have not commented about the obligations of the actual residents who are forced to endure favela existence for their whole lives. The journalists are not concerned about what could happen on the streets. Their view is that footballers do not need to walk streets and really should not walk streets. Streets are for poor people. Of course, there will be a photo shoot but the English FA will have the might of worldwide security giant Group 4 in attendance for those rare moments when English footballers have to sample Brazilian urban air. Not that vibrant Brazilian city life deters all UK visitors. Two British women have been arrested for smuggling cocaine. Natasha Harawa Phiri and Nancy Adumatta Barney were jailed after being caught with 8 pounds of cocaine. Welcome to Brazil, girls. Brazilian prisons are overcrowded and tough. The best time to visit is just after a riot when short-lived reforms are introduced. The two ladies denied knowledge of the cocaine although the 8 pounds of extra luggage must have definitely felt heavier and presumably would have incurred an extra tariff from the airline. Supposedly, their trip was paid for by a man called Romeo, and at that point you would think the girls should have expected anything but a happy ending. One of the girls said she was a psychology student and that in her week off, and with a dumb loyalty worthy of any English footballer conforming to 4-4-2, had followed her friend not knowing that they were going to Brazil. Imagine her surprise each morning when she wakes up in her Brazilian cell. Unfortunately, the story about following a friend blindly did contradict several of their other alibis. She also said that their families had been threatened and that was why they took suitcases from Romeo. Alibis, though, are like punctuation. The options for the writer and criminal are considerable but you have to be consistent. Major Priscilla which I do not think is a reference to the ex-wife of Elvis Presley. She has already been questioned about the safety of the England team. English football journalists, who have become immediate experts on the phenomenon of Brazilian kidnapping, have raised concerns. Major Priscilla was actually a victim of a kidnapping herself. Brief abductions for money are called ‘flash kidnappings’, usually the victim is dragged to a cash machine and the account is raided. They are popular just before midnight because that way the debit cards can be used again quickly as the day passes into the next. Although the event does not create financial ruin, it can be distressing. There are a few victims, though, who realise that such crime is usually a consequence of poverty and desperation. Conforming to the honourable tradition established by Brazilian harpoon victims and the like, Major Priscilla, despite hospital treatment and injuries, was back in work the next day. Not surprisingly, this assertive and confident woman has few worries about the visit of the England team. In her view, the most likely disturbance will be from excited children. ‘The kids will go crazy,’ said Major Priscilla. Whether any of them will actually see the football players on their streets is doubtful. Still, there is good news. The pacification of the favelas in Rio continues. Up until now, police in Rio have seized 127 pounds of marijuana, 44 pounds of cocaine (compared to what our two proud English girls thought they could slip through customs that is quite modest), 171 pounds of crack (hint of class discrimination possibly), 839 ecstasy tablets and 977 hash balls. And if that haul is not enough to depress or inspire your average drug baron, the police have been collecting weapons. Hand grenades and sub machine guns have been seized. Despite the assurances from Major Priscilla, race relations expert and England team manager, Roy Hodgson, is concerned about members of his team, not all of them, of course. Wayne Rooney will be okay. Indeed, the Brazilian police have sought a commitment from the FA that the handsome Scouser will behave himself. It is obvious why they worry; a sub machine gun, a hand grenade, a shortage of crack and a ridiculous hair transplant and anything could happen. Good news of a different kind but real enough for some will be the sale of the first pre-salt off shore oil field. 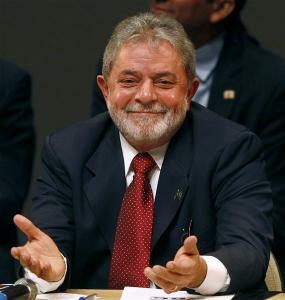 Ex-President Lula was cheered when he described the sale as a lottery ticket for Brazil. He means a winning lottery ticket, assumed those who cheered. The signing over of the oil field has already raised R$15 billion from international oil companies, and that is before the oil field is actually sold. The companies buy into the award of contracts rather than compete. Fortunately, this is Brazil and their standards on propriety and corruption are impeccable. That is a weak joke by me. Lula claims that 85% of the profits will stay in Brazil. If that happens, he has clearly avoided advice available from those UK Civil Servants who administer PFI contracts. The Fundição Getülio Vargas research university estimates that the oil field could generate R$3.7 trillion in the next thirty years. Now, that is the kind of figures the Chinese understand so it is no surprise that they will have 2 companies involved in the oil extraction. Talking of the Chinese, there are Brazilians who now compare Lula to Chinese food. What he says tastes all right at the time but later you begin to have doubts about what you have eaten. 1,100 police were required to control the several hundred protestors who are unhappy with the sale, which they see as more indigestible neo-conservative privatisation. President Rouseff has responded to protests and agreed to divert some of the profits into education. Forget the conflict. Halloween beckons and it appears that the Brazilians have discovered the ancient Celtic tradition. Brazilians like to party and dress up and Halloween is worth a hangover as much as anything. The Brazilians call it Dia das Bruxas, which means Day Of The Witches. The celebration in the Lapas Irish Pub sounds like something to avoid but the Copacabana should be colourful. This Halloween enthusiasm could be infectious. Halloween parties are growing in popularity in Brazil and those travelling by bus will have cheaper fares than this time last year. Who knows, I may tempt a few Brazilians to read my really creepy Halloween horror story next week. Interesting piece on Brazil as always. Always fun to be kept up to date. Funny comparison and contrast between Lula and Chinese food. Never say never about the Brazilians enjoying the new horror book. 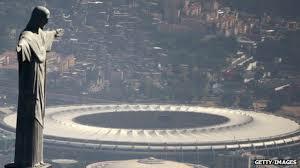 The world awaits when the World Cup starts come July 2014. Watch this space I am sure! Another enjoyable and informative piece. I can’t say that I feel at all bothered that the English team are staying near to a favela, would have thought that it would be virtually impossible to avoid. Wonder whether a philanthropic thought for the favela dwellers will cross those tiny football brains.